|| Mineland Network » 1.8-1.13.2 ➥ Find all Easter eggs and get a gift! Also you can change spawn of bad mobs, time, weather, interact with doors/items for guests and flying on your island! 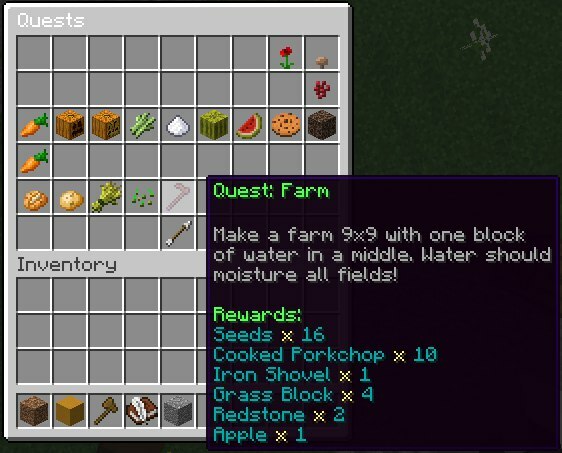 You can complete quest branches, for example "Farm". In this branch you will build all types of gardens! From wheat to cocoa beans! And for every completed quest you will get reward, yeah. We made very interesting economy. Our "admin-shop" is very expensive, but you can get many resourses from quests and... other players! We have auctions for small deals and **every player can made own shop on his island for free** for making business! It is very interesting.